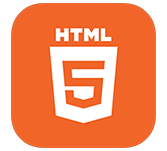 HTML5 is one of the latest and most improved HTML versions and is a markup language. Before starting learning HTML5, user should have basic understanding of HTML and its tags. To execute HTML5 online, user does not need to have their own environment. An online setup can be made to compile and execute programs on-line.